Heritage Store is the original, most complete supplier of castor oil therapy products, and other natural formulas based on Edgar Cayce's inspiring legacy of health since 1969. 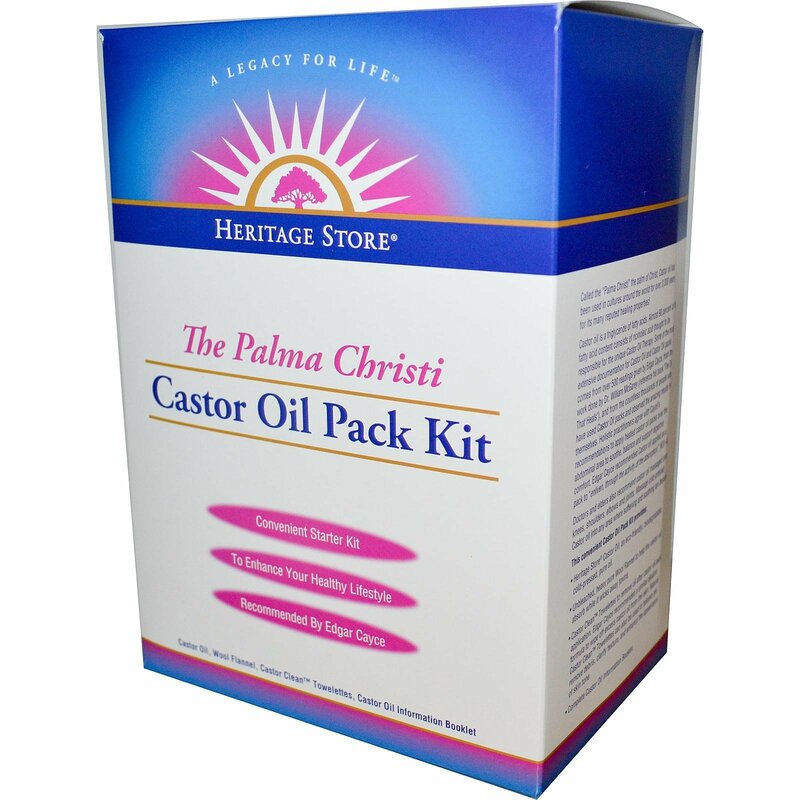 Called the "Palma Christi" the palm of Christ, castor oil has been used in cultures around the world for over 3,000 years for its many reputed healing properties! Castor oil is a triglyceride of fatty acids. Almost 90 percent of its fatty acid content consists of ricinoleic acid thought to be responsible for the unique Castor Oil Therapy. Some of the most extensive documentation for Castor Oil and Castor Oil packs comes from over 500 readings given by Edgar Cayce, from the work done by Dr. William McGarey (reference his book "The Oil That Heals"), and from the countless thousands of people who have used Castor Oil packs and observed the amazing results for themselves. Holistic practitioners agree with Cayce's recommendations to apply heated castor oil packs over the abdominal area to soothe, balance and support digestive comfort. Edgar Cayce recommended castor oil applied on a pack to "enliven, through the activity of the absorption."[631-4]. Heritage Store Castor Oil, an eco-friendly, biodegradable, cold-pressed, pure oil. Unbleached, heavy pure Wool Flannel to help the castor oil absorb while it wicks away toxins. 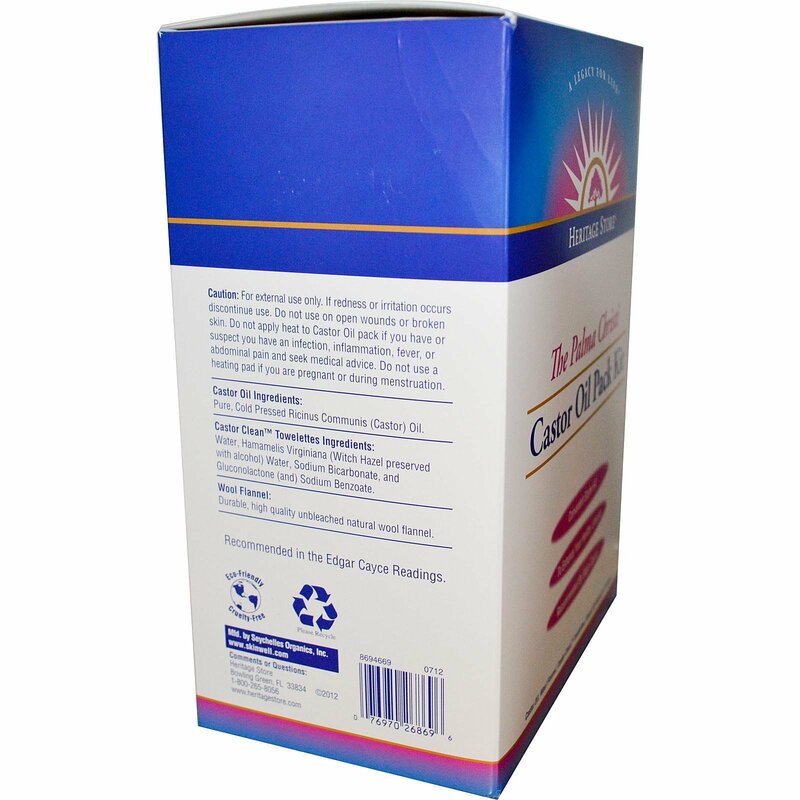 Castor Clean Towelettes to remove oil after castor oil pack application. 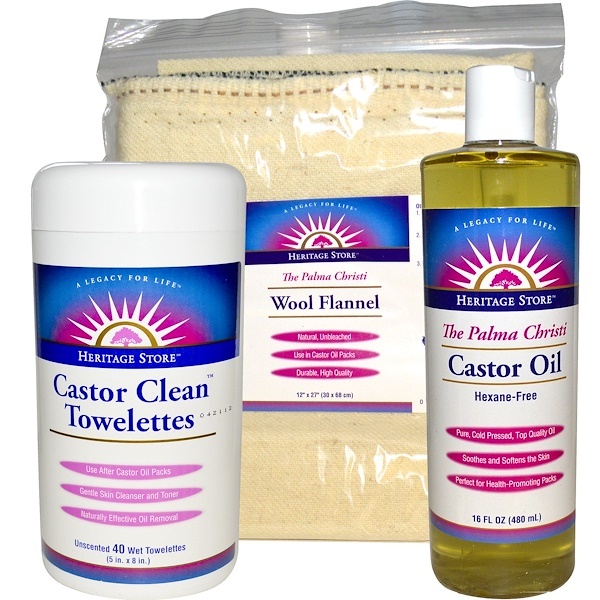 Edgar Cayce recommended a similar alkaline formula to wipe off excess castor oil from the skin. Natural Castor Clean Towelettes can also be used to balance pH, remove debris, clarify texture, and enhance the appearance of skin tone. Complete Castor Oil Information Booklet. Water, hamamelis virginiana (witch hazel preserved with alcohol) water, sodium bicarbonate, and gluconolactone (and) sodium benzoate. Durable, high quality unbleached natural wool flannel.